← Tully’s: Det blir femitofem kronor! It took a while before I was able to move into my flat at Slussen. When I first arrived in Stockholm I spent more than 3 weeks in a small room in Gärdet. It was ok for a couple of weeks but when it became obvious that my apartment wouldn’t be ready for another month, I managed to move into a temporary apartment on Katarina Bangata, in the SoFo district of Södermalm. SoFo stands for “South of Folkungagatan”. It even has its own website! From what I can tell, people in Stockholm either love SoFo (usually those who live in Södermalm) or make fun of it (usually those from Östermalm). I am with the first group! 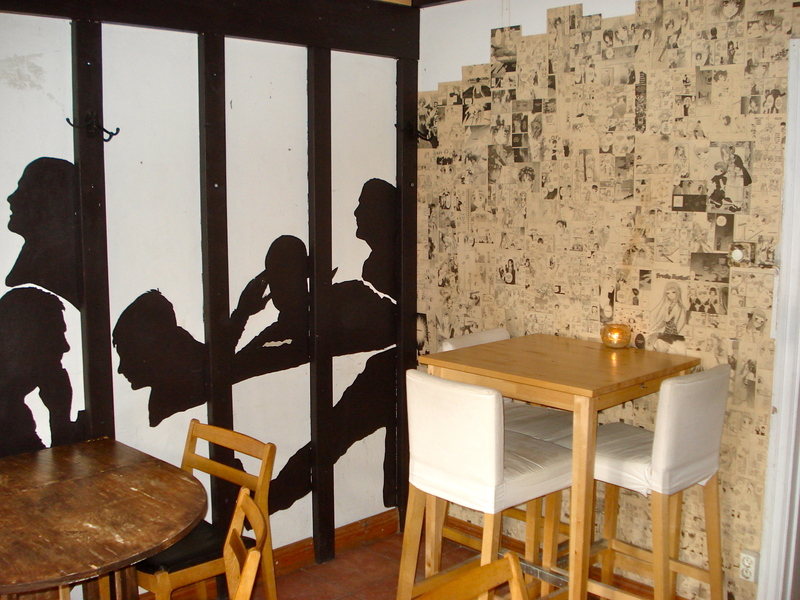 I have been to quite a few cafés in SoFo, including on Katarina Bangata. 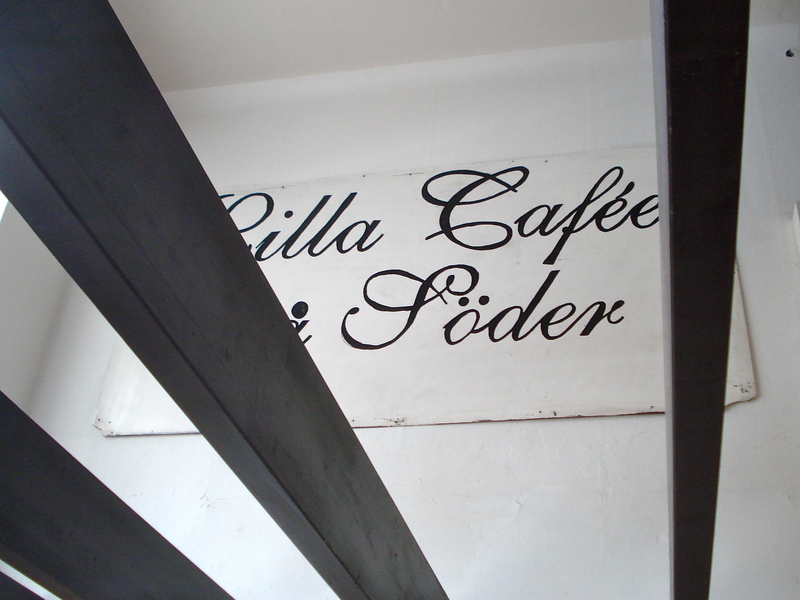 I had also been to Lilla Caféet på Söder, which was on my way to the subway. This morning I resisted the temptation of going back to Twang and decided to pay Lilla a proper visit. 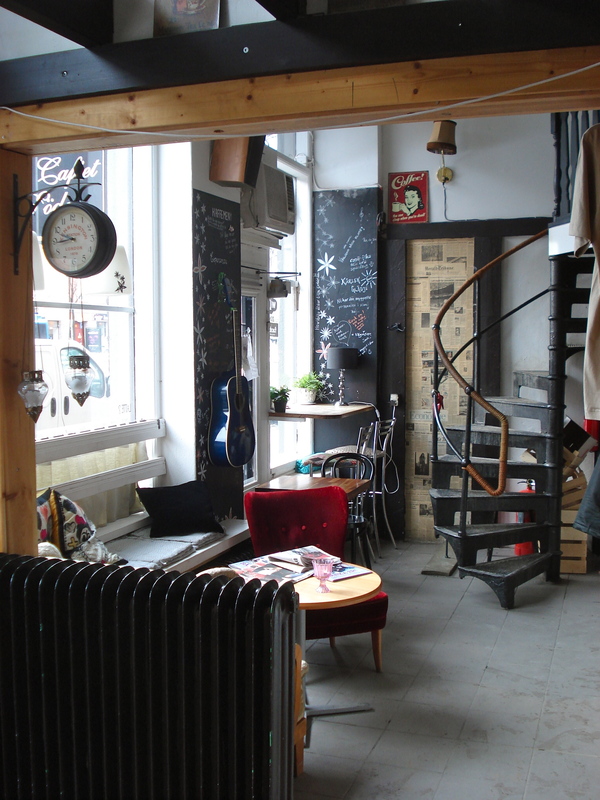 Lilla has everything I like about cafés: good coffee, nice food menu, friendly staff and a cool atmosphere. 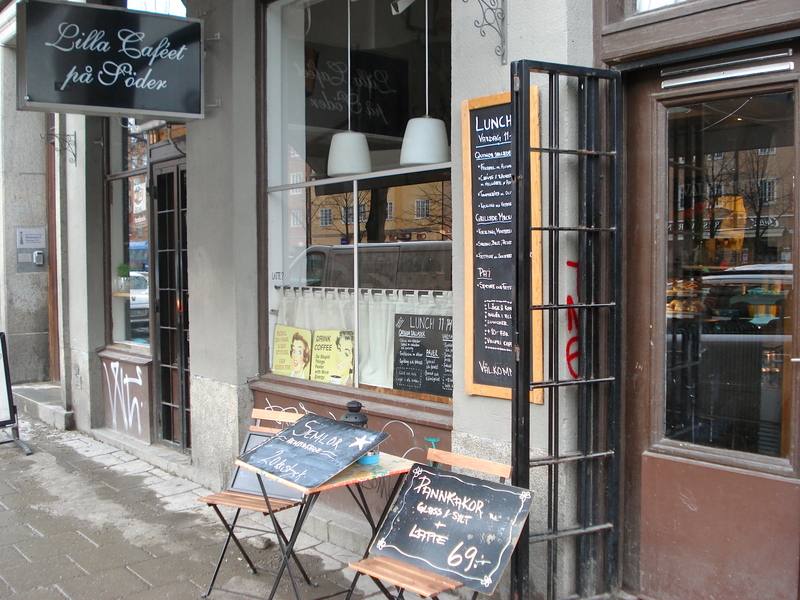 Lilla offers the traditional Swedish goodies that one can find in a café, from the pannkakor to the semlor! But, as I found out today, they also have falafel with hummus! This is definitively a plus in Stockholm, where, after a few disappointing experiences, I had to resign myself and make my own hummus (which was a success thanks to Violet and Cardamom). From the guitar on the wall to the stairs leading to the first floor where a few additional tables are available, everything looks cool at Lilla. 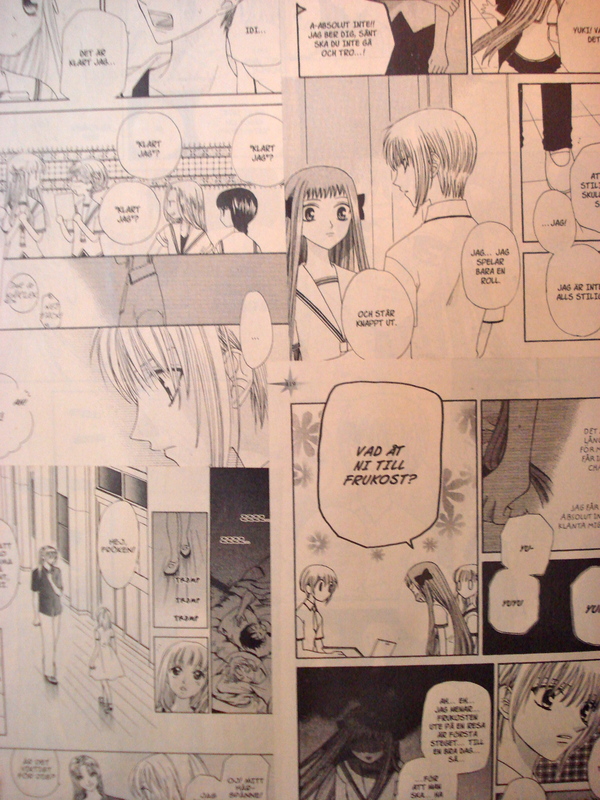 This is also true for the Swedish cartoons everywhere on the walls. Vad åt ni till frukost? After the muffin I had earlier in the morning at Tully’s, I wasn’t really hungry when I got to Lilla. That was unfortunate because I really wanted to have some hummus. That’s ok because I know I’ll be back soon. 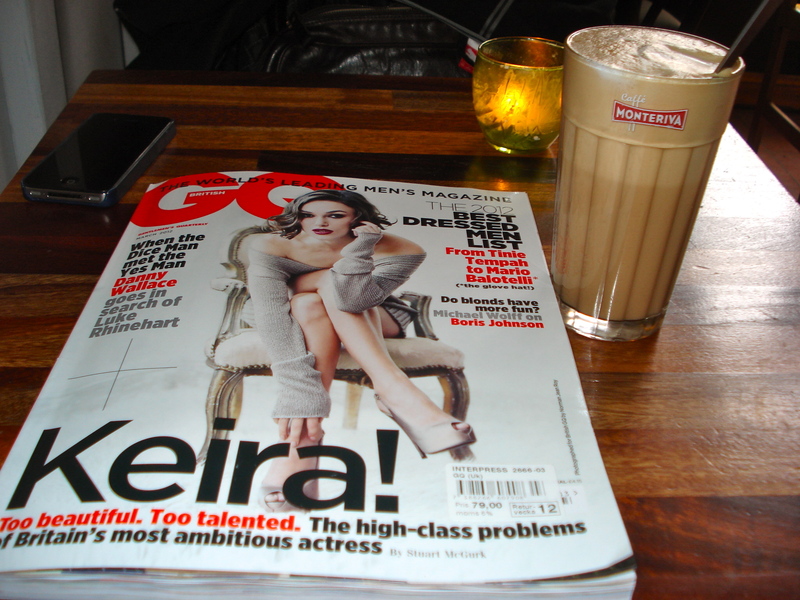 So, this morning I simply had a latté, which I enjoyed while reading GQ (British edition). That was the result of my decision to diversify a bit the magazines I read, which are usually only music magazines. I am not convinced yet (especially after reading the section about the “worst-dressed men”… I’m afraid GQ would certainly feel that I belong in that section 😉 Anyway, I still enjoyed the article (and photos) with Keira Knightley! Hej Kristina! You are so right. I have been here a few months now and I never stop being amazed by Stockholm’s beautiful cafés.